Please find below a list of the major new features, improvements and bug fixes in the AODocs version 36. 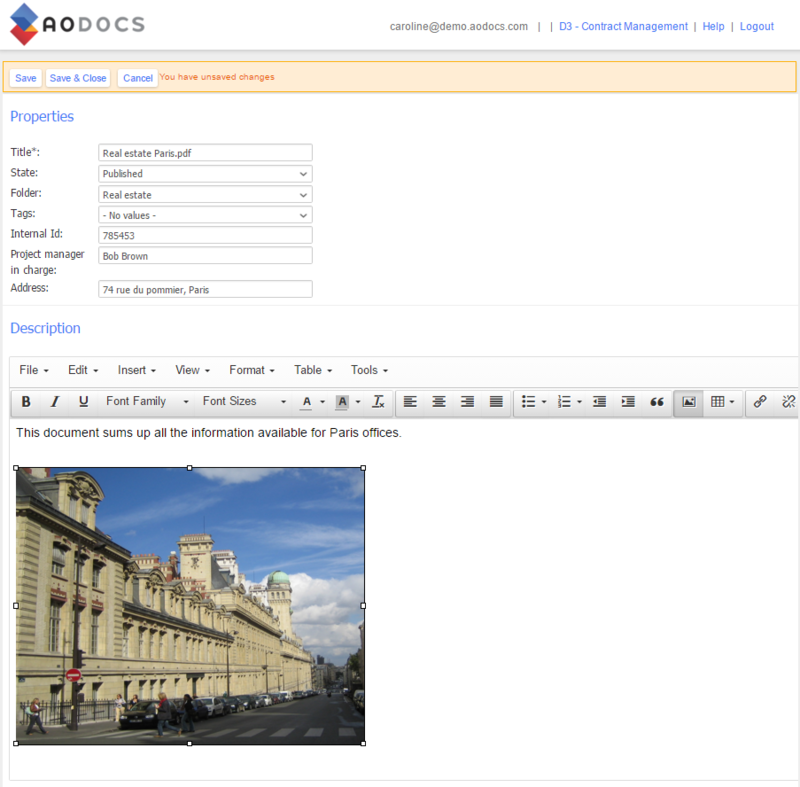 AODocs version 36 was released the 17th of February 2016. It is now possible to navigate between attachments previews and document properties without leaving the document’s page. This feature was already available in the legacy editor, but not yet in the new one. Those tabs are displayed on the left side of the screen to save vertical space. A new “Help” button appears in the bottom right part of the screen and allows you to search for knowledge base articles. The results are displayed directly in the current page, so that you no longer need to leave AODocs to find answers to your questions. In the audit log, we now store more details about the changes made on documents, folders, document classes, libraries and domains. Indeed, the audit log screen has a new column named “Diff” which allows the library administrators to access the “before” / “after” values of the modified entity (document, folder, domain…). As you can see in the following screenshot, the display is very “raw” today but we will make it more user-friendly in future releases. 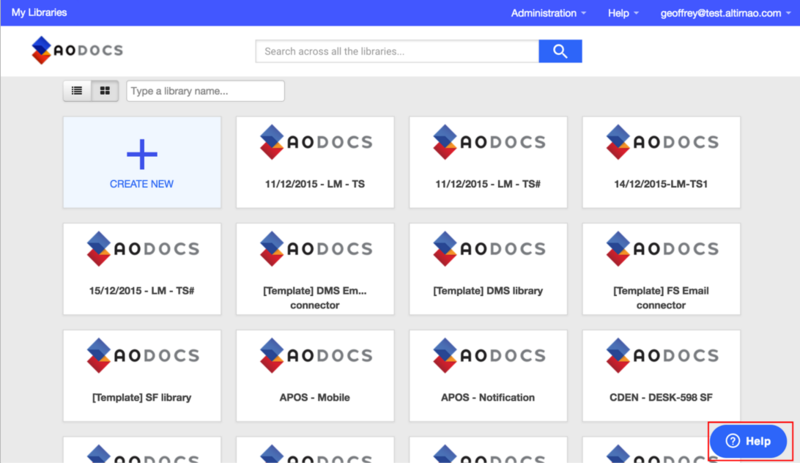 We have updated the stylesheet of the AODocs administration console to make it look much better. The structure of the pages didn’t change so you won’t feel lost. We hope that you will like the new look as much as we do! We have run many tests to preempt issues with the new style, but please don’t hesitate to contact our support team if you see something suspicious. We have improved the inner workings of the library to library export feature. This new version will fix a number of problems that were reported by our customers and will make library exports more reliable. Soon, we will also add the ability to export document management libraries having multiple attached files per document. For security reasons, we filter the custom HTML library descriptions and remove the tags and attributes that could be used to execute malicious code when the content is displayed in a browser. In AODocs 36 we have updated our filtering rules, and these new rules may remove some HTML elements of your libraries descriptions and slightly impact their display. In “Secured Folder” libraries, new document classes now have a folder property defined by default. 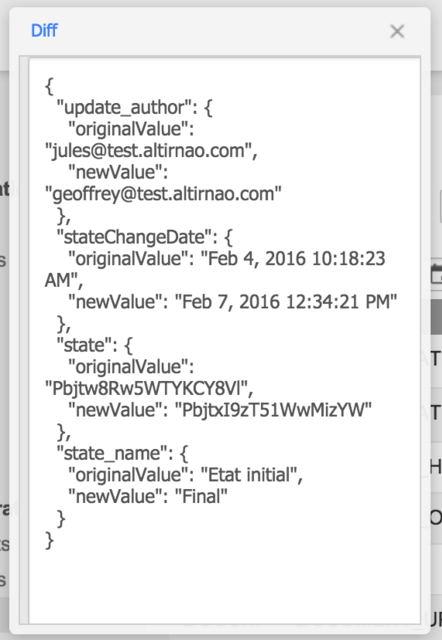 When a document is created from an email in a class using the beta editor, the confirmation email links now work. “Create a related document” redirects to the editor defined on the document class of the created document, instead of defaulting to the legacy editor. 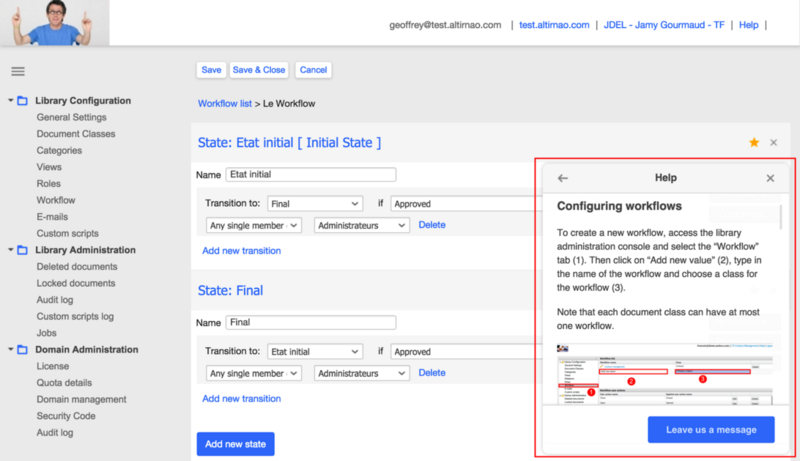 During the document creation, the workflow section is no longer empty. The order of the fields displayed in the new editor reflects the order defined in the admin console, instead of categories always being displayed at the end. Contributors can now see a field label in read-only when editing a document. In case of an error during the use of the document editor, the error message are now more accurate and well displayed. The validation button is renamed “Submit” instead of “Save”. When opening the workflow transition tab from an email, a “cancel” button used to be displayed, but was considered useless. It will not be displayed anymore in this instance. When an administrator adds a property to a document class but does not fill the “field type” and tries to save the modification, there is now an error message.